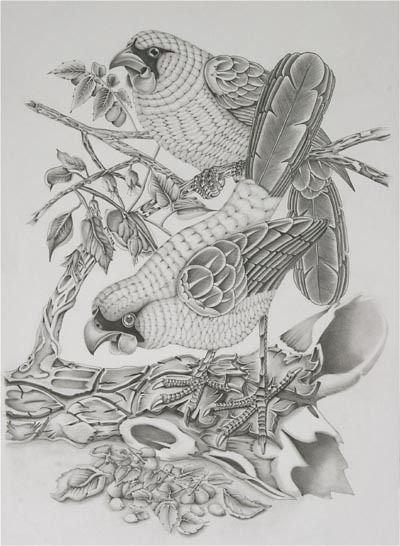 The chance to meet a professional artist, and learn new techniques and business skills are among the benefits of artist workshops run for prisoners at Northland Region Corrections Facility near Kaikohe. In October, established Northland artist Theresa Reihana spent two days in the prison. Other artists who have participated in the workshop project are fellow Northland artists Scott McFarlane and Mike Nettman. 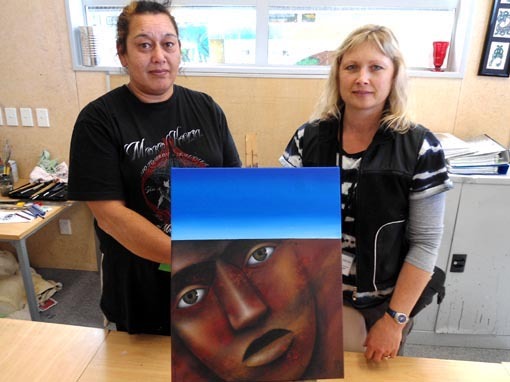 Sandra Harvey, art tutor and distance learning facilitator at Northland Region Corrections Facility, says the men have responded well to the artist workshops. The men also value the opportunity to have their work critiqued by a professional artist. At the moment, Sandra says, they are working towards two exhibitions – one opening in Whangarei on 9 December and the other at Mairangi Arts Centre in March 2014 – and so the feedback is valuable. For Theresa, it was her first time teaching in a prison environment. “I attended an exhibition a couple of years ago and saw how talented many of the artists were. I’m very impressed with what Sandra is teaching the men and there’s no doubt that some could become professional artists when they leave prison. “I’ve been thinking about what these men would need when they’re released. It’s not the technical stuff. It’s support around the process of being an artist – from the idea and creation, to marketing their work and setting up a business. Although Theresa has completed her workshop, she says she will continue to visit the prisoners when she is in the area, bringing art materials such as gourds, feathers and sand. The workshops developed from a series of artist talks, set up in the facility last year. The next step, Sandra says, is to set up a mentoring programme to complement the workshops. Sandra says there are some key steps involved in setting up an artist workshop. Select artists appropriate for the environment. Will they feel comfortable in the prison? Are they good communicators? Select established artists who are selling their work. Will they be good role models? Check on the materials the artist will need in the workshop and ensure they are there on the day. Check on materials the artist would like to bring into prison (e.g. a data projector, special paint) and gain the necessary approval. Choose prisoners for the workshop, based on their skills, attitude and how long they have been in the art programme. Then brief them. Brief the artist on what to expect, give them an orientation of the prison and explain the safety procedures. 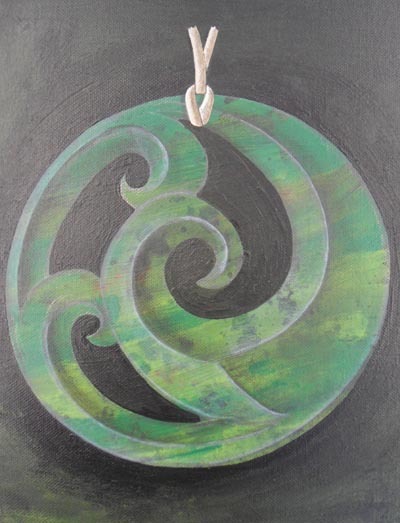 Sandra’s role also includes facilitating and supporting the men’s studies as they work to gain qualifications through long-distance learning institutions Te Aho O Te Kura Pounamu – the Correspondence School and The Learning Connexion. Original generation time 1.4591 seconds. Cache Loaded in: 0.0372 seconds.